"Since using MadCap Feedback Service to improve our Flare-based Help systems, our support team is seeing anywhere from a 10 percent to 30 percent drop in 'how-to' calls." Riyaz Adamjee | CCC Information Services Inc.
CCC Information Services Inc. (CCC) understands the importance of clear communications and easy access to information. It is a leading provider of technology solutions for managing automotive claims and repair–facilitating communication among some 21,000 auto body collision repair facilities, 350 insurance companies, and a range of other industry participants. For its technical communications, CCC relies on MadCap Flare and the hosted MadCap Feedback Service. The company uses Flare to deliver its Web-based Help systems. The company then enlists Feedback Service to analyze how customers are using the Flare-based online Help for two of its leading products, so it can make these resources more intuitive and easier to navigate. "Since using MadCap Feedback Service to improve our Flare-based Help systems, our support team is seeing anywhere from a 10 percent to 30 percent drop in 'how-to' calls, which suggests that customers are finding it easier to follow the Help instructions," said Riyaz Adamjee, CCC manager of communications services. 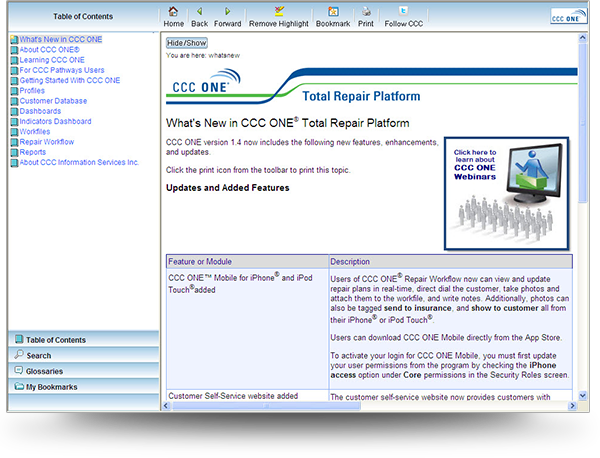 Based on its initial success, CCC plans to migrate to the on-premise MadCap Feedback Server in order to support additional product Help systems based on Flare. 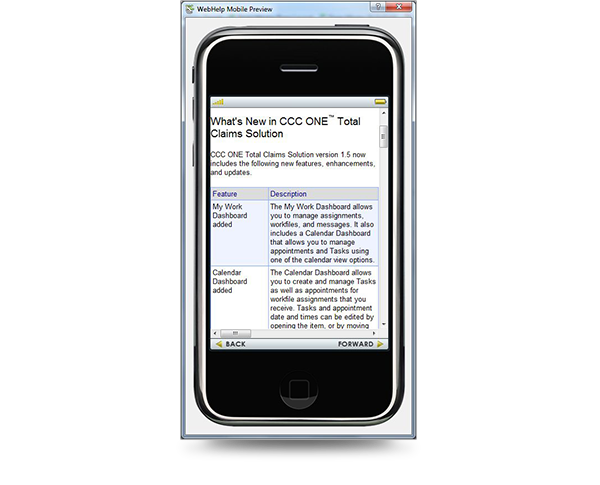 Since 2006, CCC has relied on MadCap Flare to author and publish its Web-based Help and documentation. As the company expanded from one Help system to more than a dozen, it began seeking a way to verify how effectively the Help systems were addressing customers' needs. MadCap Feedback Service also allows users to conduct a time analysis to compare the number of people using a Help system from one month to the next. For CCC, it has demonstrated a clear increase in people using the Help systems assisted by the Feedback Service. "The usage analysis has demonstrated the value of the Feedback Service," Adamjee notes. "We can now justify purchasing MadCap Feedback Server, which will run on-premise, and expanding our use across our other Help systems." "The new PDF engine has worked out really well," Adamjee says. "We develop a lot of content in Flare, and it's much easier to publish it as a PDF file whenever the sales team or customer requires one–and the output is a lot cleaner."